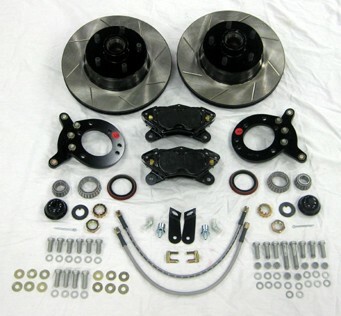 Disc brake conversion kit for 1964-73 Mustangs with DISC* or DRUM spindles. 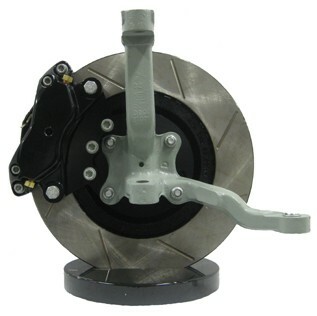 Retains OE track width and fits most 14" OE Disc brake wheels and larger vintage style & backspace wheels without spacers or modifications. 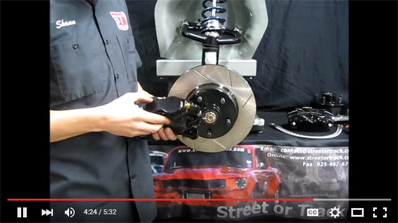 Take a few minutes to watch this YouTube video and you'll see how easy it is to install this brake conversion. 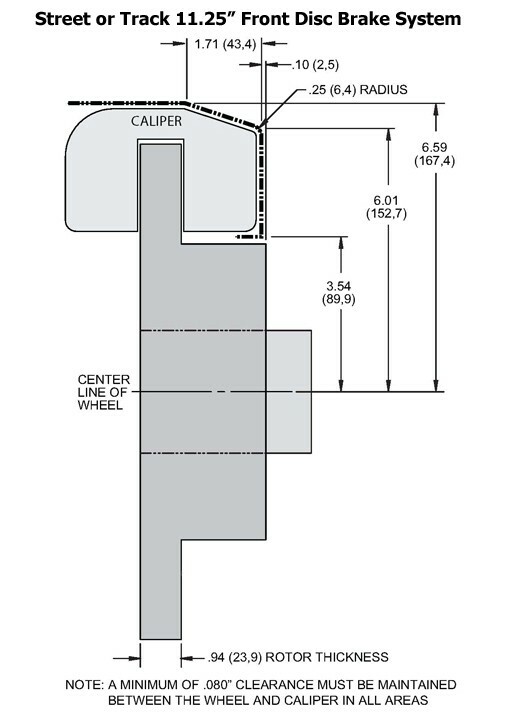 Please use the template below to check wheel fitment. 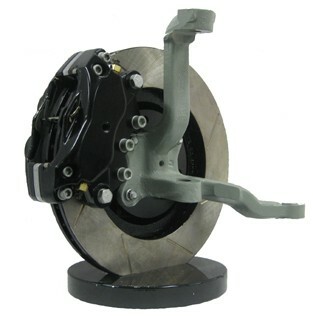 2 x Caliper mounting brackets. 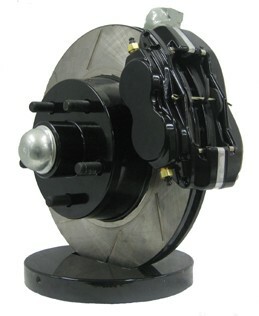 CNC machined from billet aluminum, hard anodized black. Fits 1965-73 Mustang Drum and Disc spindles. 68-73 Disc spindles require modification. Due to the extensive choice of options, all kits are custom built. Usually built & shipped in 1-2 weeks but please contact us to confirm current build time if you are in a rush!